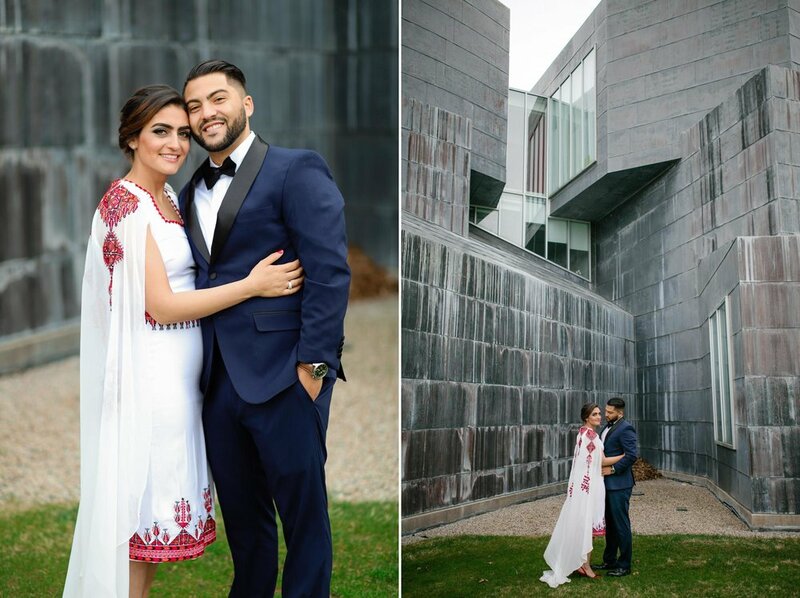 Nadia and Jamal’s story of how they met is short and sweet - they met through mutual friends and fell in love from their first conversation. They have been inseparable ever since. 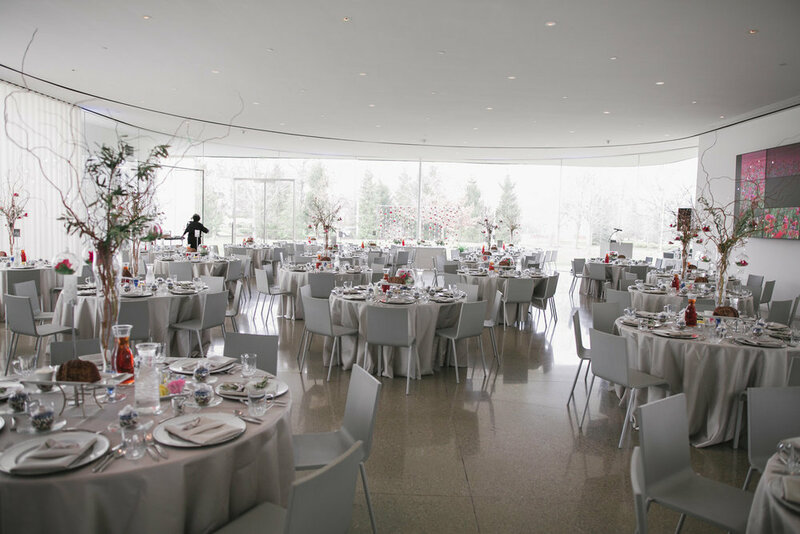 Their Glass Pavilion Wedding Engagement Party was gorgeous and included cultural elements, such as olive branches and the poppy, which is the national flower of Palestine. 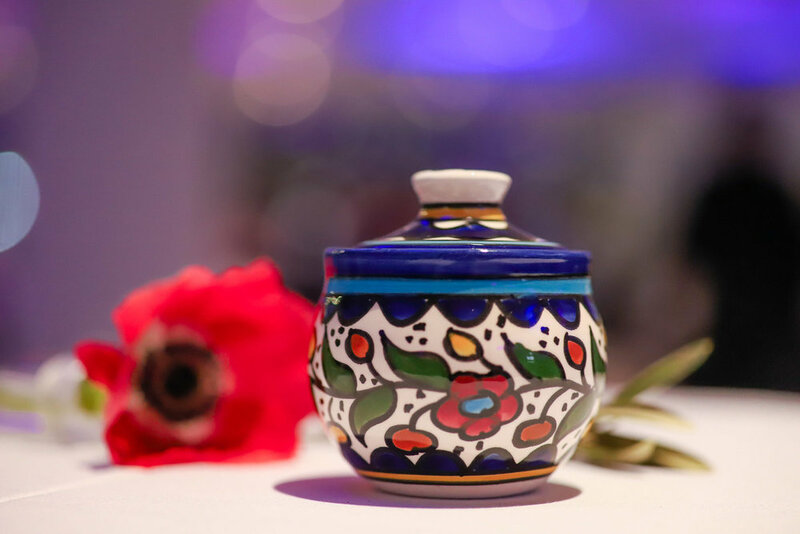 The beautiful colorful jars placed on tables as favors for guests were also handmade in Palestine. One of the highlights of the night was the cultural dance, which almost every guest at the party participated in! 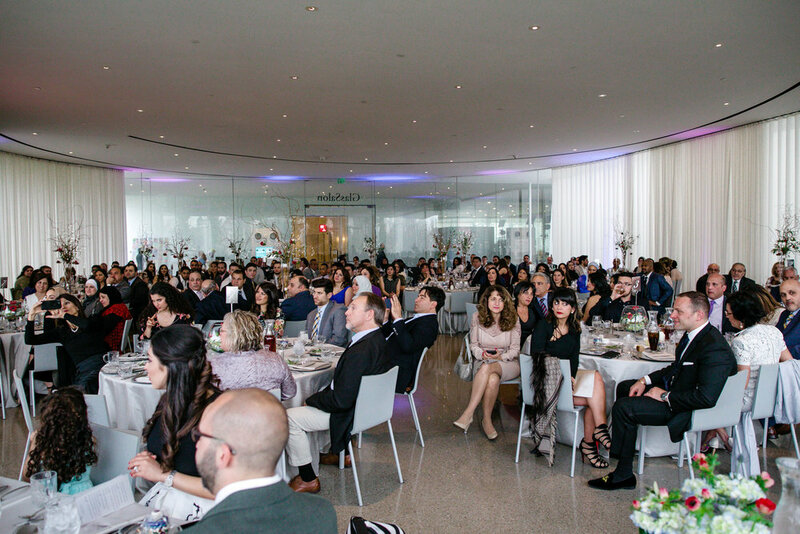 It was an amazing night and we wish the couple congratulations on their upcoming wedding that will take place in California.